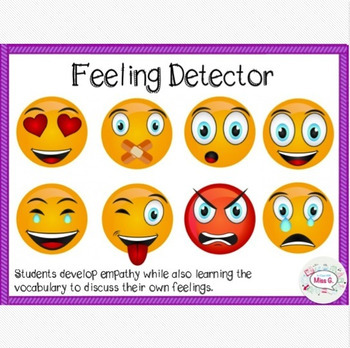 Students develop empathy while also learning the vocabulary to discuss their own feelings. This PowerPoint slideshow allows students to think about the feelings of other children in the photographs presented. It also allows many students with a variety of cognitive, linguistic, and social needs to participate by allowing for nonverbal responses. Students can then discuss what clues allowed them to determine the emotion and why he/she thinks that.